Read part I and part II of this series for background. So you will have a basic understanding of coagulation pathways. Yes, it is complex. 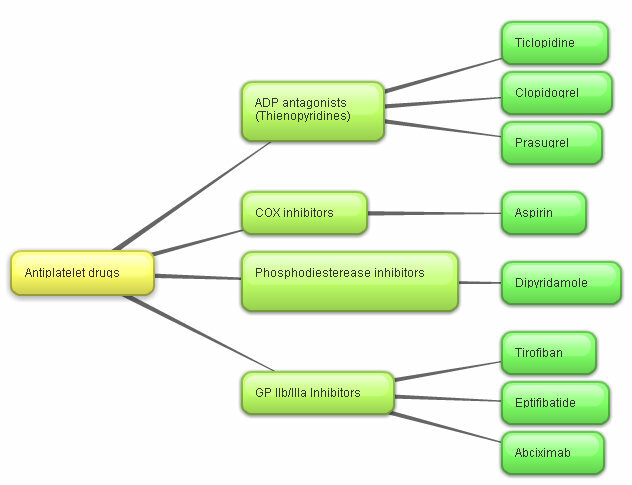 So let’s discuss anticoagulant therapy medications. 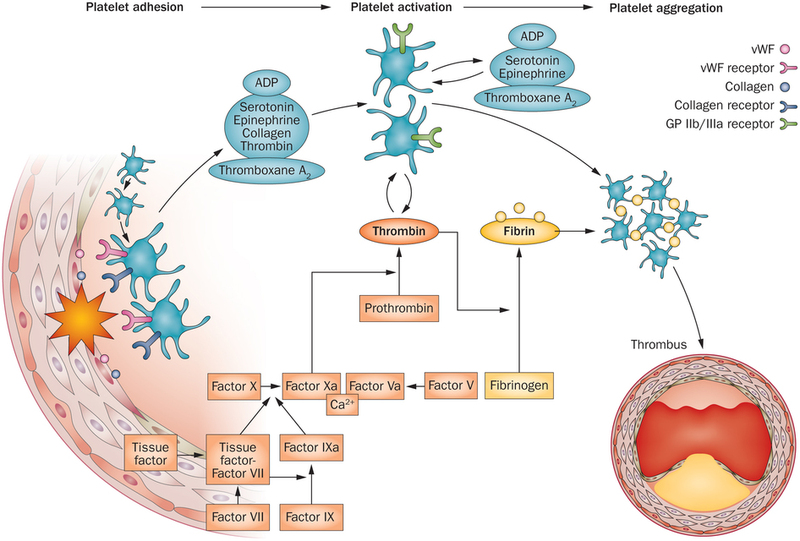 Figure 2 shows how we prevent platelet aggregation and activation at various stages. Look at figure 1. Aspirin has been the mainstay of antiplatelet therapy. There has been a succession of drugs over the last three decades. Newer antiplatelet drugs supersede older ones. Are these true advances or simply marketing campaigns? Aspirin has been well studied in the literature. A full 325 mg dose will prevent platelet aggregation. Over time, aspirin has significant adverse reactions. These are direct and indirect reactions. It can cause tinnitus (ringing or buzzing noises in the ear). It can cause major gastrointestinal bleeding. This is a significant problem. Therefore, baby aspirin (81 mg) is a reputedly safer dose. This lower dose is effective. We now know this is subject to individual variations. Fast or slow metabolizers. There are ways of testing for aspirin efficacy. Aspirin Resistance (11-Dehydrothromboxane B2) is one available test. Realistically, we rarely perform this test. So that empirically, an 81 mg (baby aspirin) dose is less toxic. Interestingly, we rarely treat babies and toddlers with baby aspirin any longer. Aspirin is a COX inhibitor. COX is an acronym for cyclo-oxygenase. There are COX-1 and COX-2 enzymes. Fish oils are potent COX inhibitors. I will talk about Fish Oils in the final chapter – part 4. Adding aspirin to clopidogrel in high-risk patients with recent ischaemic stroke or transient ischaemic attack is associated with a non-significant difference in reducing major vascular events. However, the risk of life-threatening or major bleeding is increased by the addition of aspirin. During acute episodes in hospital, physicians use heparin. This is intravenous dosing. Once discharged, physicians prescribe Coumadin (Warfarin) for long-term therapy. Yes, Warfarin is rat poison. Typically, Coumadin anticoagulant therapy is continued for a variable period of time depending on the condition. Coumadin blocks vitamin K -dependent conversion steps. So you are advised not to ingest any extra vitamin K. Or foods that are high in vitamin K such as leafy green vegetables. Prothrombin time (PT) was used in the past to monitor the efficacy and dosing of Coumadin which is quite variable. Today we use the INR (international normalized ratio). Weekly monitoring is necessary initially. Then less frequently as the INR activity stabilizes. But I stress, there is considerable variability in dosing from 2 mg up to 12 mg.
A typical Coumadin dose is 5-6 mg daily. Fourteen years ago in this journal, Price and colleagues reported that 2 weeks of warfarin treatment in young rats “caused massive focal calcification of the artery media” (1). It had been known for years that Warfarin could induce mineral deposition in the arteries of rodents (2), and the phenomenon was so robust that Warfarin was often used as an experimental model for vascular calcification, but the mechanism was unknown. So time marches on. Newer drugs, with which are not vitamin K antagonists, are now the “latest advance.” These are Xa (10a) antagonists. They eliminate the variability of Coumadin dosing and the necessity for frequent testing. And we suspect marketing decisions are in play. What are these newer drugs? In conclusion, rivaroxaban and enoxaparin treatment led to a reduction in alkaline phosphatase activity and a reduction in BMP-2, osteocalcin and Runx2 mRNA expression, indicating that treatment with both drugs leads to a general negative effect on osteoblast activity. The most common adverse effect of edoxaban in clinical trials was bleeding. Edoxaban has no established antidote to reverse its anticoagulant effect, which persists for about 24 hours after the last dose, and it is not dialyzable. Epidural or spinal hematomas resulting in permanent paralysis could occur in patients taking the drug who require neuraxial anesthesia or spinal puncture. We will eventually discover other long term consequences. This class is certainly far more convenient. And way more expensive. So let us turn our attention in the final Part 4 to a comprehensive and time-tested natural anticoagulant routine.